Providing loving home care to your loved ones in Clinton and the surrounding areas. Good Samaritan Society Services@Home provides quality in-home or facility one-on-one elderly care and home care for the people you love. Headquartered in Bettendorf, Iowa we service the Quad Cities Illinois / Iowa as well as Eastern Iowa and Western Illinois with carefully screened caregivers for your senior care needs. Our senior care services are available 24 hours a day, 7 days a week. 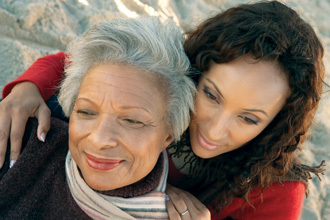 We can usually provide a caregiver in your home within 24 hours or less. Our hope is to provide fast, friendly and accommodating services to individuals and families in need of in-home or facility care. Our goal is to provide compassionate and qualified personnel to care for loved ones in the safety and comfort of their homes.We assist with the activities of daily living which enhance the quality and enthusiasm for life. The mission of The Evangelical Lutheran Good Samaritan Society is to share God's love in word and deed by providing shelter and supportive services to older persons and others in need, believing that In Christ's Love, Everyone Is Someone.